Camp Carolina is a boy’s summer paradise of 220 acres, with a private lake, nestled in Lamb’s Creek Valley and bordered by over 2 million acres of public lands that include Pisgah, Nantahala and Cherokee National Forests, Dupont and Gorges State Parks and The Great Smokey Mountains National Park. We are allowed access to these magnificent natural resources through commercial use permits. Under careful supervision and constant encouragement, boys discover new frontiers on whitewater rivers, mountain lakes, ancient trails and rocky summits. These experiences are to be remembered for a lifetime. We hold the Backcountry Institute at Camp Carolina each spring. We offer courses by American Canoe Association, American Red Cross, National Archery Association, National Rifle Association, United States Youth Soccer Association and Wilderness Medical Association, to name a few! We offer these courses to the general public, other camps and provide these courses for our staff, allowing us to have the most medically and professionally trained, certified camp counselors in the country. The average age of our staff is 23 years old. 98% of our program staff takes advantage of Backcountry Institute courses. Our overall ratio: camper/staff is 2.5/1. We travel the world each year in search of the finest role models, the most skilled instructors, and staff with the highest degree of moral character and maturity. Applicants must go through a thorough application process by our administration-including a lengthy application, multiple interviews, provide a clean criminal background check, provide a minimum of three character or work references and pass a drug test. 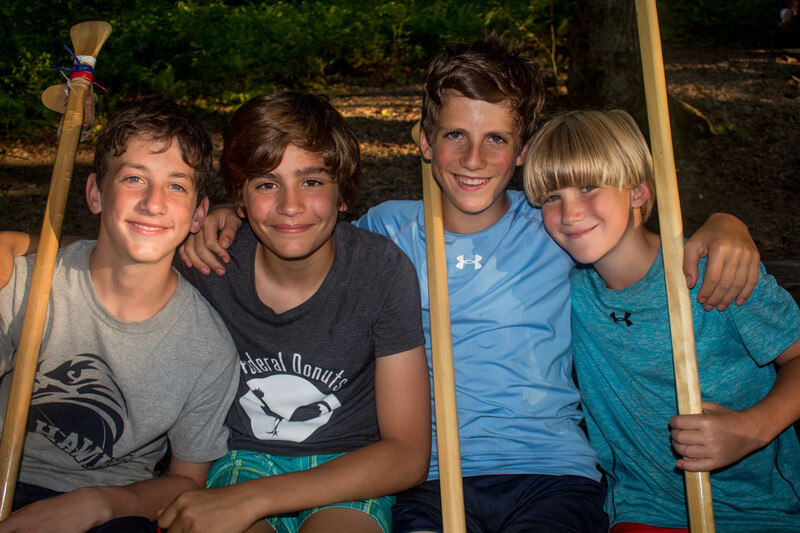 Every activity at Camp Carolina is available to all age campers on a level specifically designed for their age group with the exception of wakeboarding, surfing and paintball which are offered to boys who have completed the 5th grade and above. Our cost is all inclusive, except for incidentals and camp store charges We run all our own programs (except for paintball) so our campers are always under the direct instruction from our counselors. For instance, our Raft Guides & Climbing Instructors are part of our camp community. Our commitment to all aged campers transcends throughout our camp program. We encourage the younger campers as well as the older campers to challenge themselves in our high adventure program and focus on skill development over age. Our goal is to help all of our campers discover a life long passion during their time at CCB. Camp Carolina is a camp which boys learn to feel with their hearts, do with their hands and live together in the spirit of brotherhood. Our boys are taught to appreciate the simplicity of life, values of human relations, wonders of nature, importance of self reliance, respect for each other and our natural environment and the thrill of high adventure. A special effort is made to send every boy back home stronger in body, keener in mind, more appreciative of nature, nobler in character and more confident in themselves. Our program is a balanced mixture of individual and team sports, nature, music, arts and crafts, high adventure and extreme sports. We value safety, respect and selflessness toward others. We work hard to maintain a well- rounded experience of health, fun and growth. Our camp leaders are guided to focus on the “teachable moment” – that time when a boy is enthusiastic, interested, searching for answers and having fun. We believe, and many educators agree, that more teachable moments arise during the long- term camping experience than during comparable stays at other types of educational institutions. 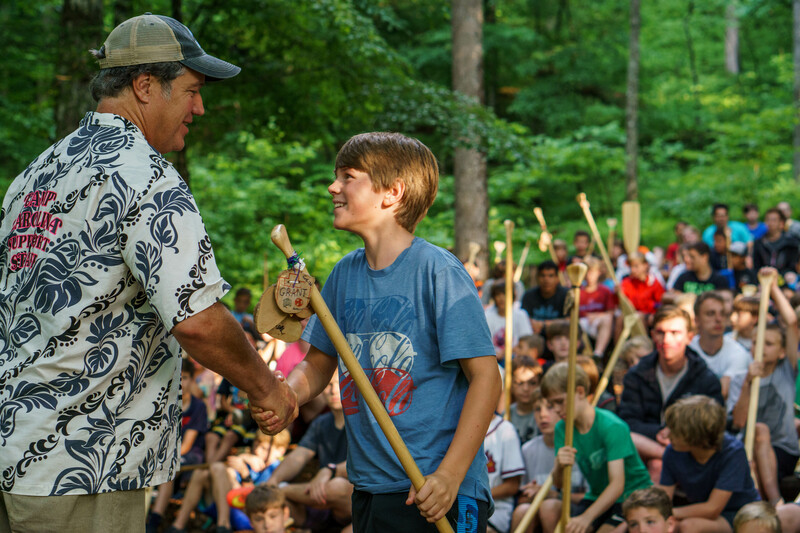 Camp Carolina is about adventure and meeting challenges head- on. It’s about the simple faith that anything can be accomplished through determination and enthusiasm. It’s about living fully, setting personal goals, making friends and enjoying accomplishments. There are many things you can do at Camp Carolina, but the only award you can receive here is The Old Man of The Mountain Award which is given out for good citizenship. Boys do not receive awards of any significant merit for athletic prowess or excellence in any activity. There are ten steps in the award with the first step being the Old Man of the Mountain Paddle itself. After receiving their first step the boys have the opportunity to earn a brand each summer. This award is given on Friday nights at Campfire-where the whole camp gathers to publically recognize and celebrate each campers achievment. 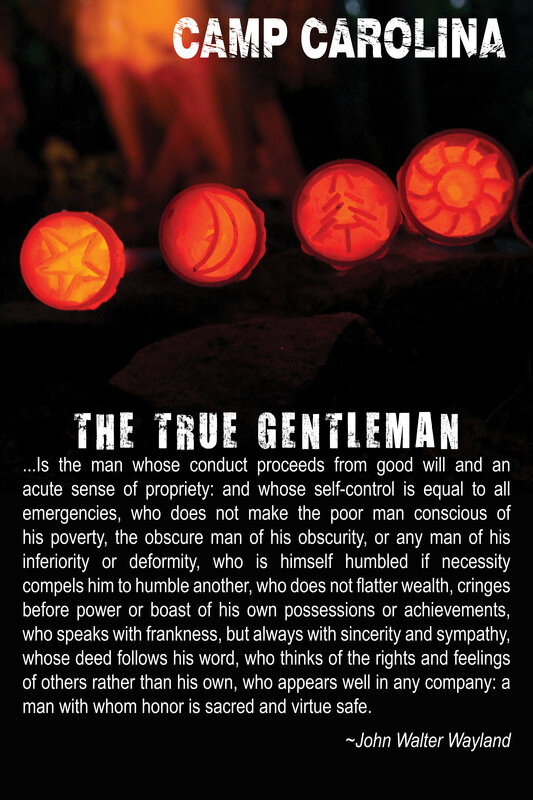 Our Counselor Assistants can earn their True Gentleman Brand after a succesful session embodying the values of the True Gentleman poem. At Camp Carolina being a good citizen means that you treat all campers and counselors respectfully and considerately, voluntary work, and working on self improvement under the guidance of your cabin counselor.